Denso, which operates its North American headquarters in Southfield, says it has invested nearly $100 million over a four-year period in startup companies around the world as part of its long-term vision to provide software-based solutions focused on electrification, automated driving, connectivity, and shared economy. The world’s second-largest mobility is focusing its investments on companies that are working on key technologies that will play major roles in advancing mobility services that are safe, secure, and efficient. Those technologies include cybersecurity, semiconductors, sensors, and others. “Denso has traditionally been self-sufficient with its R&D efforts,” says Tony Cannestra, director of corporate ventures at the auto supplier. “About five years ago, we realized that to keep pace with the predicted changes in the automotive industry and consumer demand, we needed to embrace an open innovation model that places equal importance on internal and external technology development in all product areas. Autonomous and Shared Mobility: The supplier invested additional dollars into Ridecell’s Series B funding round for the development of shared mobility. Its partnership with Thinci is enhancing deep learning capabilities required for autonomous vehicles. 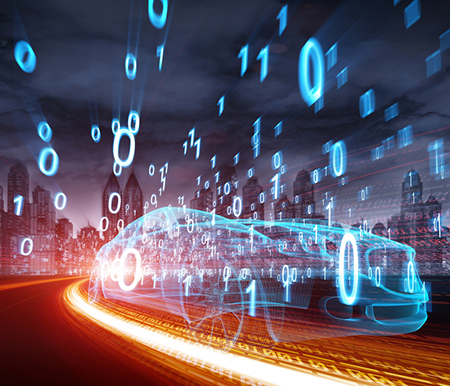 Cybersecurity: Denso led Dellfer’s initial funding round to help the company develop cybersecurity safeguards for connected and autonomous vehicles. Electrification: An investment in FLOSFIA is focused on a semiconductor device expected to reduce the energy loss, cost, size, and weight of inverters used in electrified vehicles. Sensing: Along with a handful of other strategic investors, Denso invested in Metawave Corp. to accelerate the development and improve performance of in-vehicle, “smart” radar sensors for autonomous cars. In turn, several Denso-backed startups will join the supplier at the 2019 Consumer Electronics Show in Las Vegas in January. Denso says it intends to continue to invest in startups and entrepreneurs who can help accelerate innovation in the automotive industry.